Say it ain’t so! Angelina Jolie and Brad Pitt are getting divorced. Maybe you were originally on Team Jennifer when Pitt and Jolie got together, but you’ve got to admit the two Hollywood superstars seemed like a match made in gorgeous person heaven. After 10 years of dating (possibly a world record in Hollywood), Pitt and Jolie finally tied the knot in 2014. Based on their track record and seeming obsession with one another, it came as a shock when Jolie announced her intention to divorce her By the Sea co-star. Brangelina’s demise is proof positive that even marriages that look solid from the outside may be fatally flawed on the inside. It is also proof that every couple – even the ones who are absolutely ga-ga in love with each other – should consider signing a prenuptial agreement. Brad Pitt and Angelina Jolie will certainly have to work through a lot of tough emotions as a result of their divorce, but one major challenge they won’t face is how to divide their estate, rumored to be worth $400 million! Together, the couple owns 12 properties, including a vineyard they purchased together in France after their marriage. Without a prenup, they would each likely end up spending a small fortune in legal bills trying to iron out a divorce settlement. Fortunately for Pitt and Jolie (and unfortunately for gossip hounds), the couple does apparently have a prenuptial agreement, which celebrity gossip site TMZ described as “ironclad.” If the prenup is as thorough as sources indicate, then dividing the estate should be easy for the couple. Other couples can learn from Pitt and Jolie’s example. You don’t have to be a multi-millionaire to benefit from a prenup. No matter what state you live in, you’ll be expected to divide your “marital property” fairly with your spouse if you should ever get divorced. In community property states, like California and Texas, each spouse is entitled to half the couple’s community property regardless of how much income each spouse earned during the marriage. 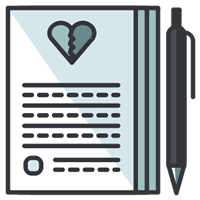 Even if you are one hundred percent sure that you and your spouse will never, ever get divorced, a prenuptial agreement can still give you important peace of mind. Of course, a prenup can’t solve everything! It looks as though the gossip hounds will be getting plenty of drama to chew on. Jolie has requested full custody of the couple’s six children, and sources indicate that Pitt intends to fight for shared custody. Want even more useful divorce advice? Keep reading our divorce article archive, or consider attending the next Second Saturday Divorce Workshop in your area.